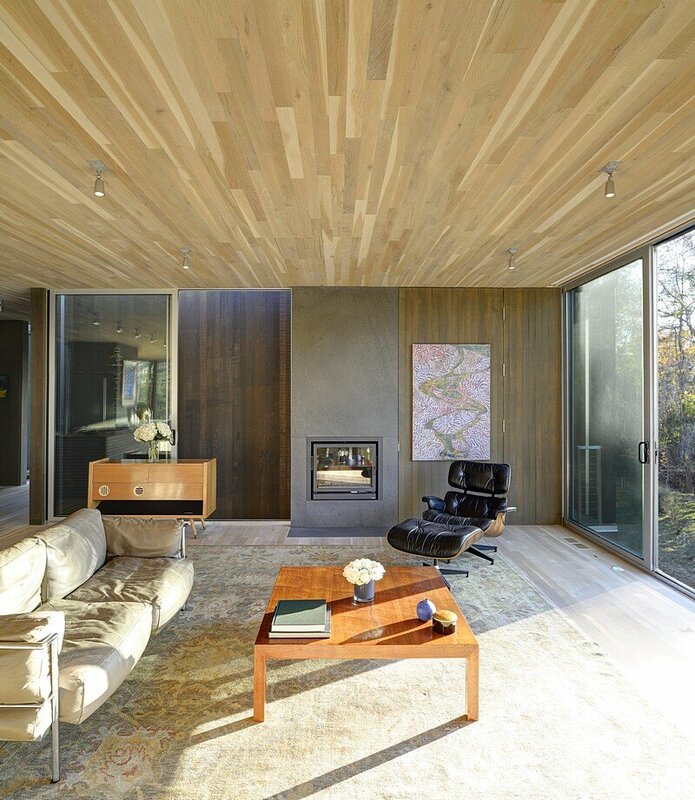 Northwest Harbor is a private residence completed by East Hampton-based Bates Masi Architects. 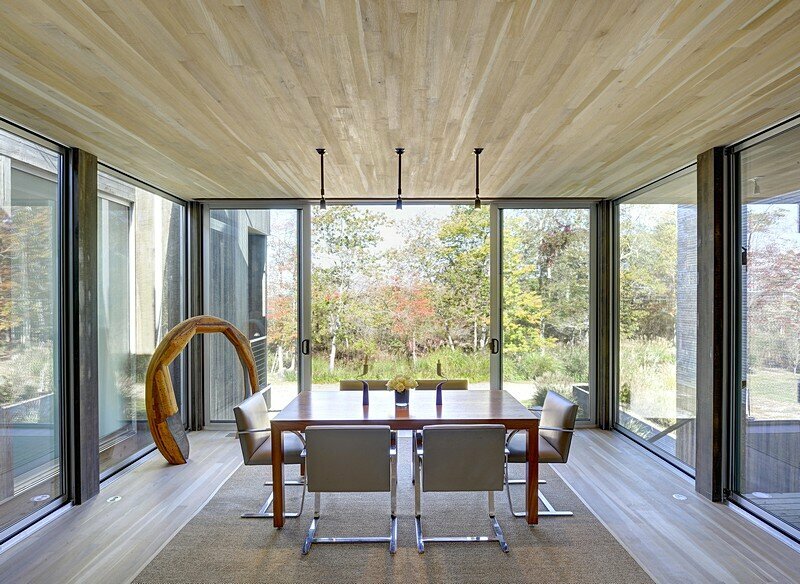 The house is located in East Hampton, NY, United States. 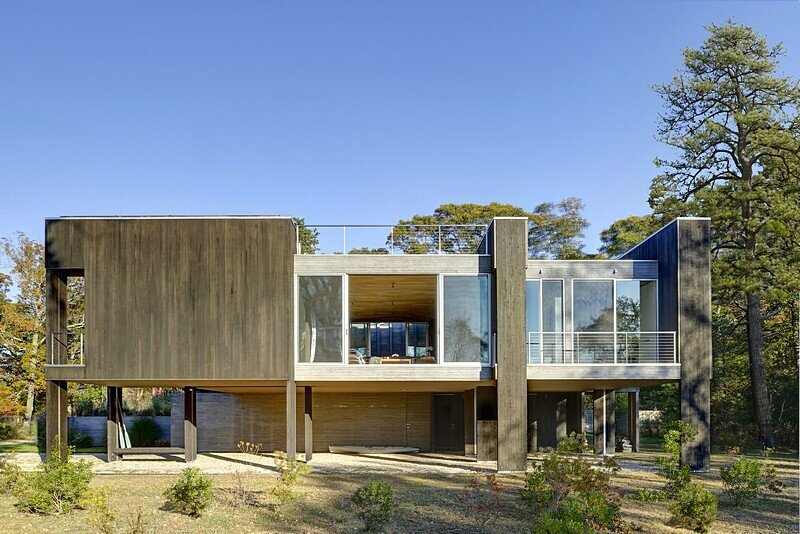 Project description: Straddling freshwater wetlands and a tidal estuary just six feet above sea level, this house’s site demands extraordinary sensitivity to environmental concerns. 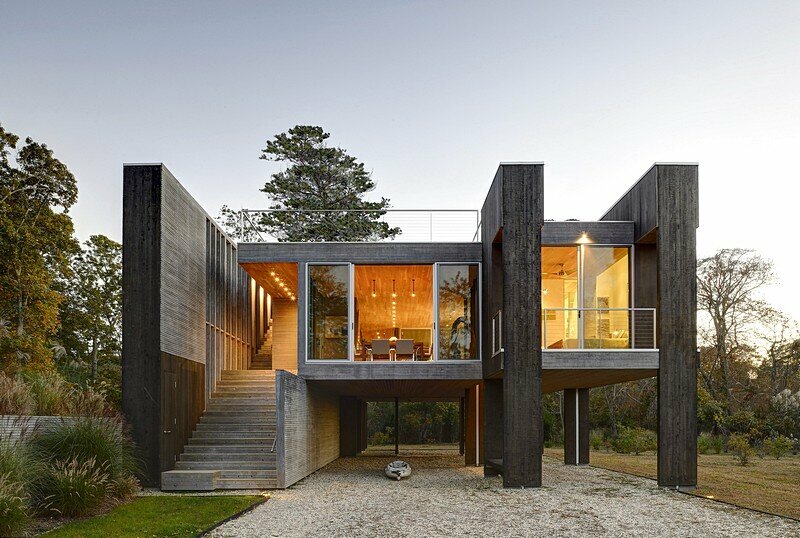 Local zoning restricts the structure’s maximum coverage and proximity to wetlands areas, while Fema requirements set the first floor structure above the base flood elevation. 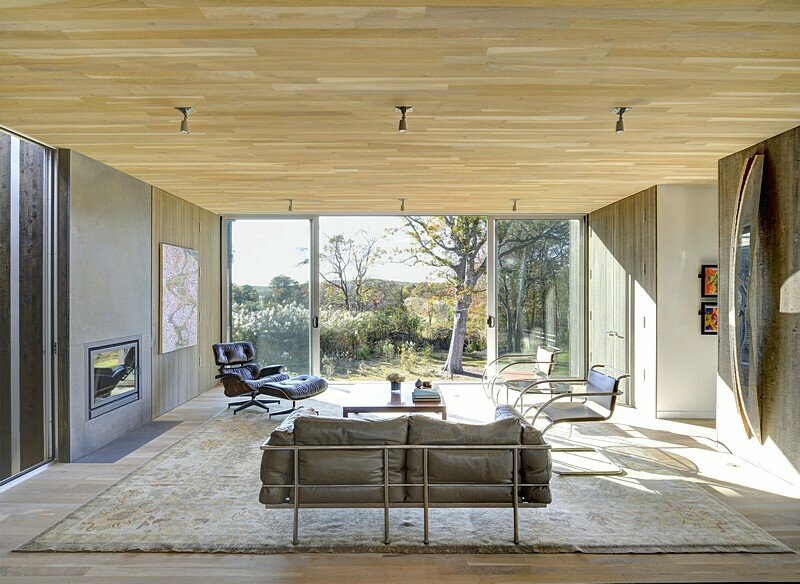 The house’s basic massing is therefore predetermined, limited to a one story, 1,900 square foot design, raised eight feet above the ground. 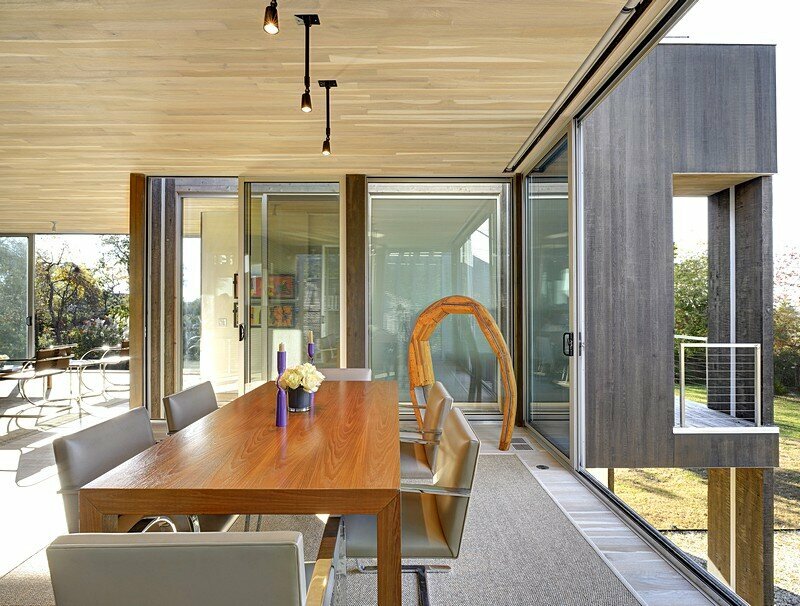 The spaces within this envelope are arranged, articulated, and fenestrated based on an innovative structural system that infuses the house’s inner areas with light and circulating air. 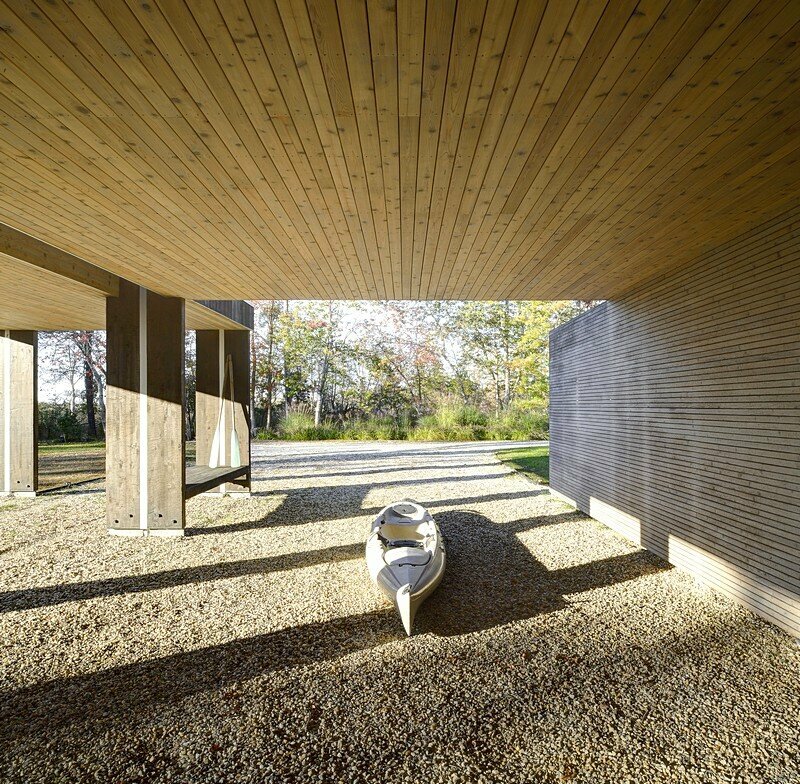 Whereas most waterfront construction uses pilings to establish an artificial ground plane upon which a conventional house is built, in this project these structural members are integral: 16 exposed, glue-laminated piles stake out the enclosing walls for each of the three bedrooms and extend continuously from the ground through the roof. 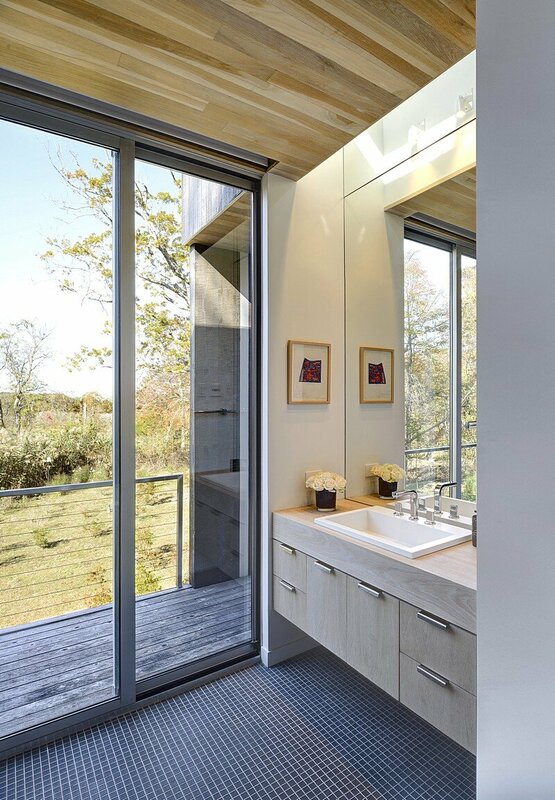 The spaces between these piles house “utility” functions: closet, desk, laundry, pantry, and shower compartment. 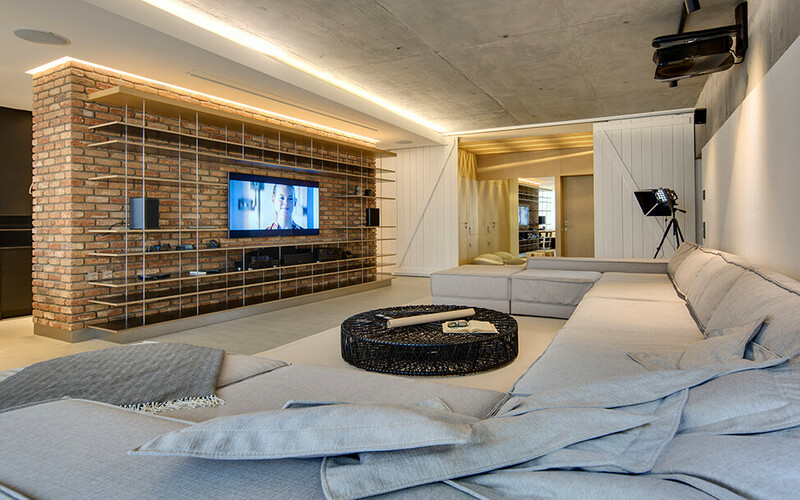 In addition to these conventional utilities, three vertical voids are opened between the piles to serve the spaces around them. 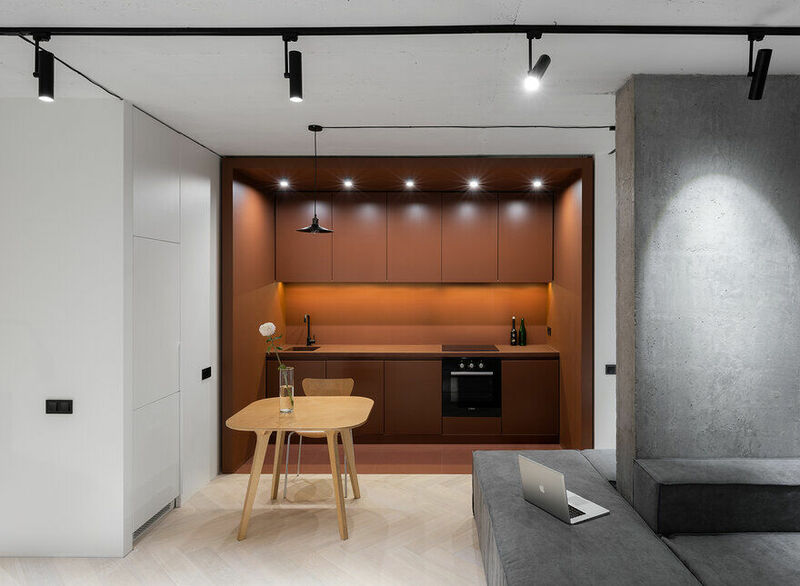 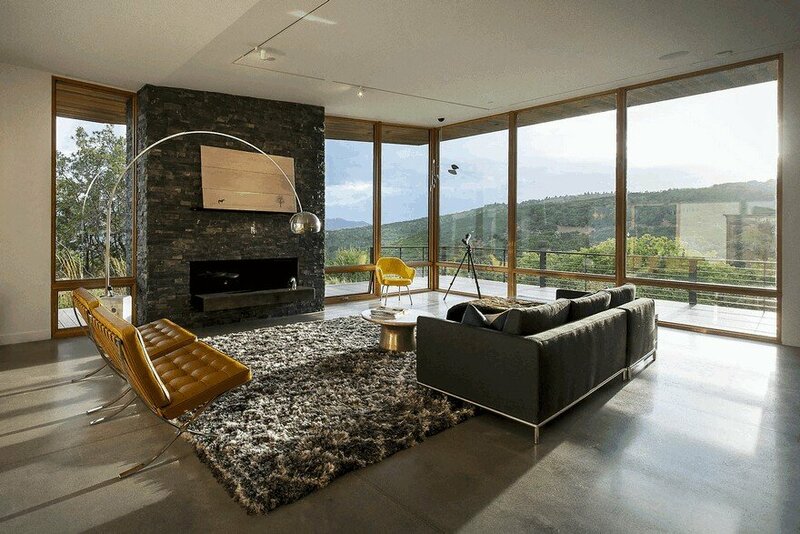 Without occupying any of the limited allowed coverage, these open areas add considerable value by improving the house’s interior environmental quality and diminishing its impact on the local environment. 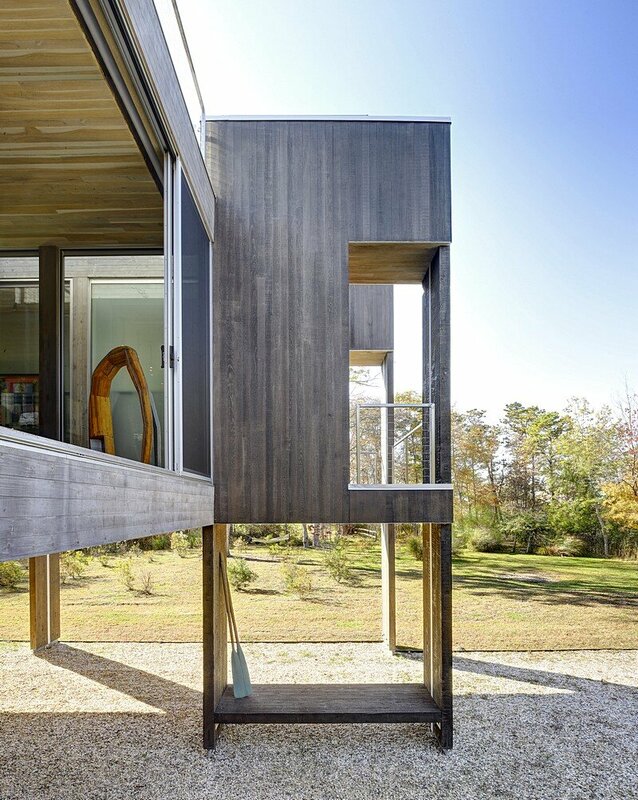 The benefit is threefold: each opening draws light though the interior spaces to the carport below, conducts rainwater from the roof deck to the ground via integral downspouts carved into the piles, and ventilates by siphoning air through the middle of the structure. 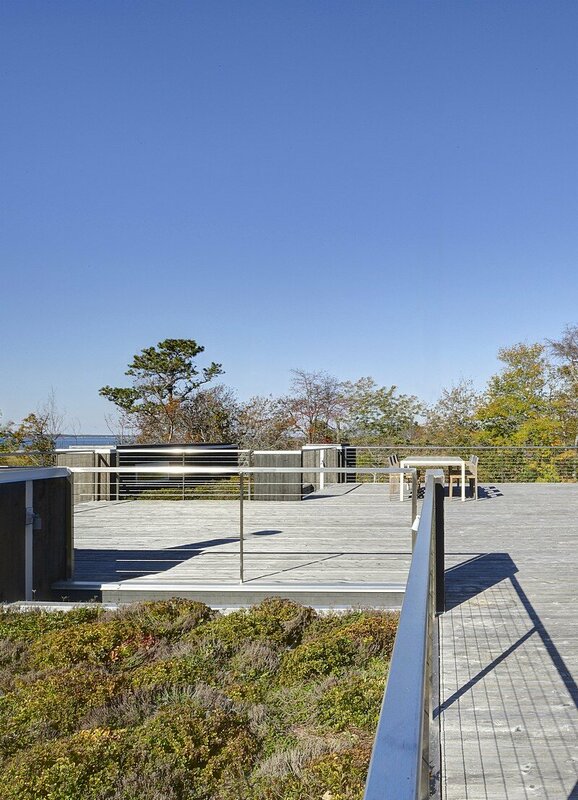 At the roof the projecting piles divide the space between a deck directly coinciding with the living areas below and a modular planting system installed above each bedroom to reduce runoff. 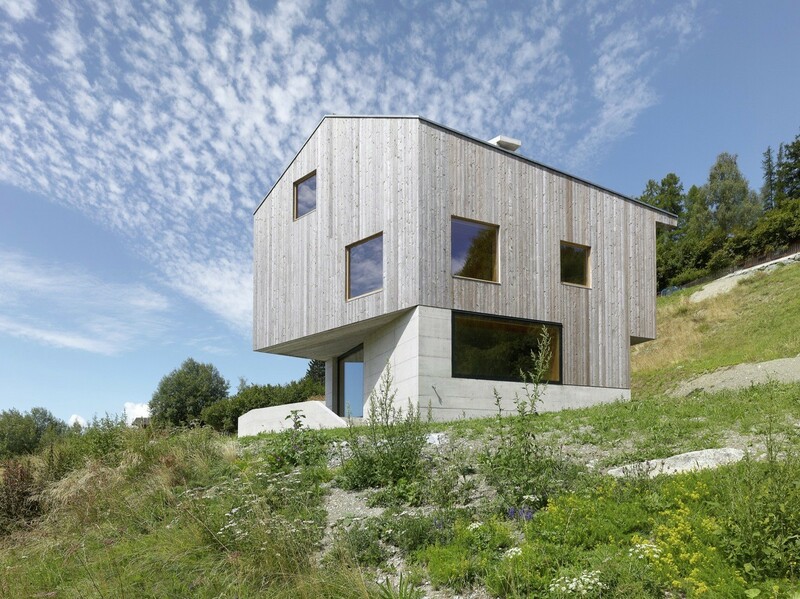 The projecting piles also serve as supports for photovoltaics that power geothermal pumps, utilizing the abundance of high ground water to heat and cool the house. 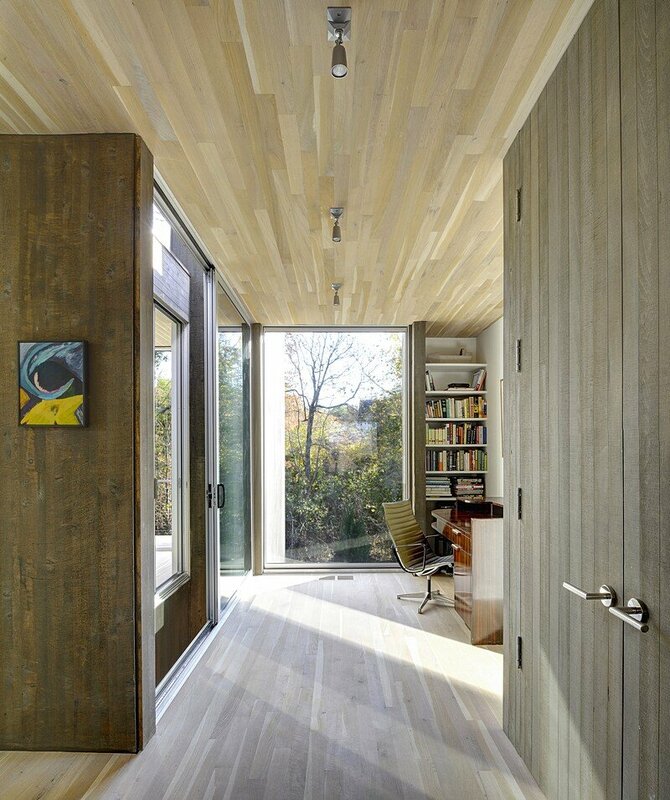 At the ground level, the space below the house is utilized for parking and storage to minimize the footprint on the site. 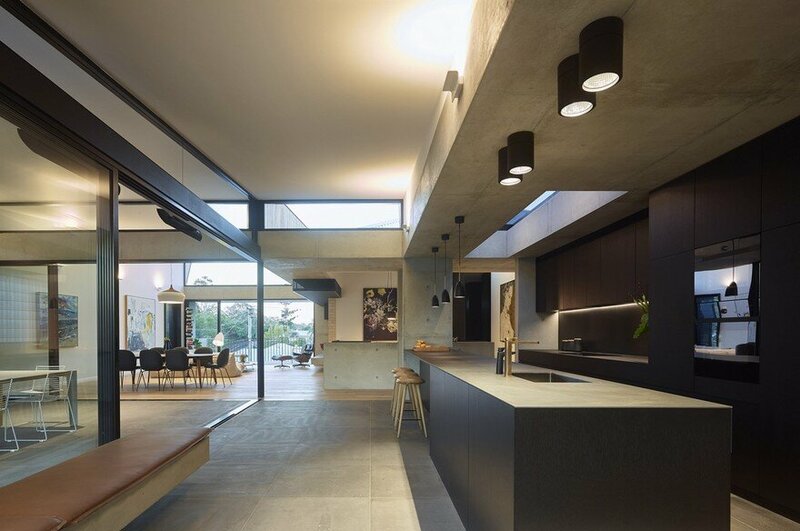 By allowing voids to permeate through the house, the owners have multiple visual connections to the landscape from below, within and above the house, encouraging a sense of place.